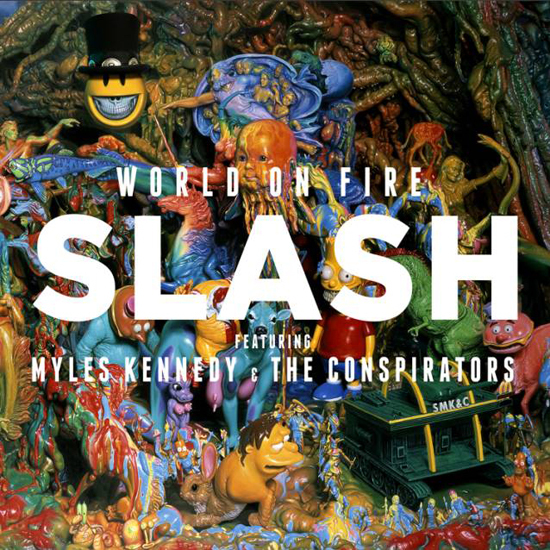 Slash featuring Myles Kennedy & the Conspirators, has returned with brand new album ‘World on Fire’. The lead single to the album ’30 Years To Life’ as well as the album’s title track, have received huge radio support from pretty much every rock radio station known to mankind, including independent local radio. ‘World on Fire’ contains a colossal 17 tracks and is Slash’s third solo album, the previous two being self-titled, if you remember, and ‘Apocalyptic Love’. You can listen to the world’s most iconic guitarist talk about it right here! The hardest working man in the business brings his unique brand of rock ‘n’ f’n roll to UK arenas this November/December, with all venues on the verge of selling out, be sure to get yours quick! ← The ‘Request-line’ is OPEN! !